Blockchain is everywhere. From bitcoin to tracking tomatoes, blockchain is being hailed as the technology of the future-secure, distributed and widely applicable. This blog post focuses on the security aspects of blockchain. Blockchain is touted as being extremely secure; once a transaction is committed to the blockchain, it is essentially immutable, it cannot be changed. This is correct; however, this security only applies to transactions that have been committed to the blockchain. Transactions which have not yet been committed to the blockchain are vulnerable to several types of attack. Let’s examine some identity and time attack vectors in blockchains, and how to protect blockchains from network-based attacks. In blockchains, identity is contained within an eWallet. The eWallet identity is used in blockchain transactions, describing ownership and transaction activity. When we hear about Bitcoin attacks where bitcoins have been stolen, many of those attacks occur when the private key in the Bitcoin eWallet is stolen, allowing transactions from the stolen eWallet to another eWallet. Blockchains are a distributed system and require a mechanism to provide transaction ordering. The method commonly used to order transactions is the timestamp of when the transaction was received by the blockchain ordering service. The blockchain ordering service must have a common time base or clock. Adjusting the clock of a member of the ordering service has positive or negative effects on a transaction, depending upon the viewpoint of a malicious actor. This makes time and the communication of time between ordering service members an attack vector. BlackRidge provides an active cyber defense for distributed network- based applications including blockchains, protecting them from unidentified and unauthorized discovery and access, insider threats, and DDoS attacks. BlackRidge TAC (Transport Access Control) authenticates network sessions before they are established, allowing only identified and authorized connections to protected blockchains. Blockchain infrastructure protected by BlackRidge is not discoverable. Attackers can’t see blockchain resources protected by BlackRidge because the resource is unapproachable from anyone who cannot provide an authorized identity during session establishment. BlackRidge TAC accomplishes this by inserting a cryptographically-secured identity token in the first packet of the TCP/IP session that must be authenticated and authorized before access to the protected blockchain resources is allowed. BlackRidge works with all TCP/IP based applications and is compatible with existing networking and security infrastructure. BlackRidge scales from individual users to the full, distributed blockchain infrastructure in data centers or the cloud. 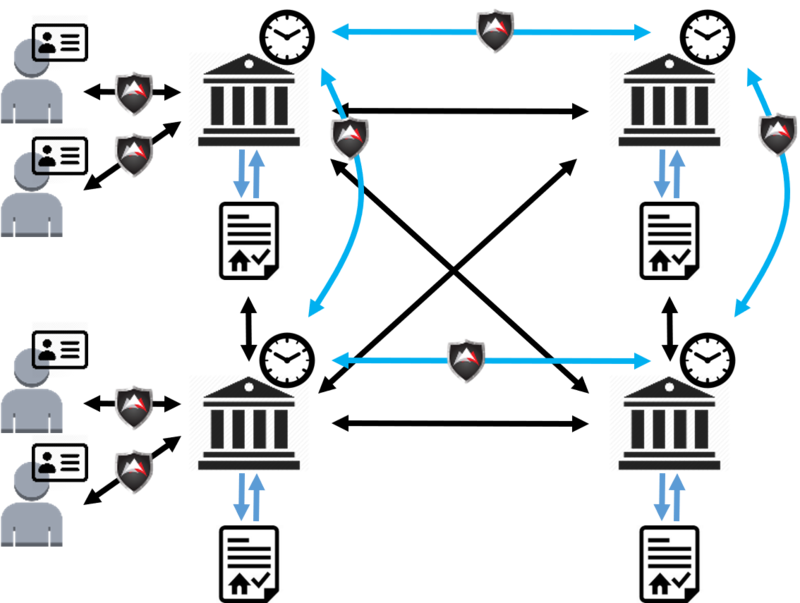 BlackRidge has a cyber defense solution that protects blockchains from discovery and attack. Using identity allows multiple blockchains to reside on the same platform with no data leakage or intercept by attackers. With BlackRidge in place to protect a blockchain, the operator of the blockchain is ensured that only authenticated users are given access and the blockchain is protected from unwanted access and attack. Please contact us for more information on how BlackRidge can protect your blockchain from network attacks.